Two survivors of the Parkland school shooting will speak at UMass Dartmouth October 17 in the third annual Reverend Dr. Robert Lawrence Lecture. Hosted by the university’s Leduc Center for Civic Engagement at UMass Dartmouth, David Hogg and Jaclyn Corin will deliver a talk entitled “Engaging Student Voices: A Focus on Voting, Gun Control, and Anti-Violence.” The goal of the lecture is to demonstrate how young people can affect policy through voting. Hogg and Corin were students at the Marjory Stoneman Douglas High School in Parkland, Florida when a gunman killed 17 students and teachers on February 14, 2018. Since the shooting, Hogg, Corin and their classmates launched the March for Our Lives and the Never Again MSD anti-violence movement. The lecture will be held at 7 p.m. in the Main Auditorium at UMass Dartmouth, 285 Old Westport Rd., Dartmouth. Parking will be available in Lots 5, 6 and 7. Admission is free, but registration is required at lawrence-lecture-2018.eventbrite.com. Following the lecture, Hogg will sign the book he co-authored with his sister Lauren, #NeverAgain: A New Generation Draws the Line. Books will be available for purchase at the event. David Hogg was a high school senior at Marjory Stoneman Douglas High School in Parkland, Florida on February 14, 2018 when the largest school shooting in American history took place there. Having lost friends, classmates and teachers, David decided to take action and co-founded March For Our Lives, a youth-led gun violence prevention movement that organized one of the largest mass mobilizations this nation has ever seen on March 24, 2018. He is a prolific voice on social media with more than a million followers. With his younger sister Lauren, also a student at Marjory Stoneman Douglas High School, he co-wrote #NeverAgain, a New York Times bestseller. Jaclyn Corin is a student at Marjory Stoneman Douglas High School and a survivor of the mass shooting that killed 17 of her classmates and teachers. Less than a week after the shooting, she mobilized 100 of her classmates and brought them on a lobbying trip to their state capital. Soon after, she continued her advocacy and became a leading organizer of the March For Our Lives. At the March, she brought Yolanda Renee King to the stage, granddaughter of Martin Luther King Jr., where she preached that the young people of today are a part of a “great generation.” Corin is in constant contact with student leaders from around the country, organizing voter registration drives and promoting March For Our Lives chapters in other cities. 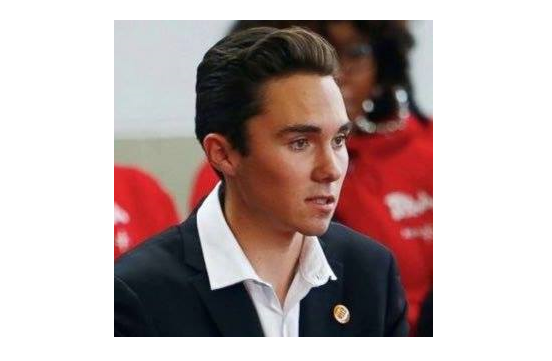 Just what is Hogg a “survivor” of? NOT the Parkland shooting – he was not even there until after it ended. Stop glamorizing this posturing superfluity.